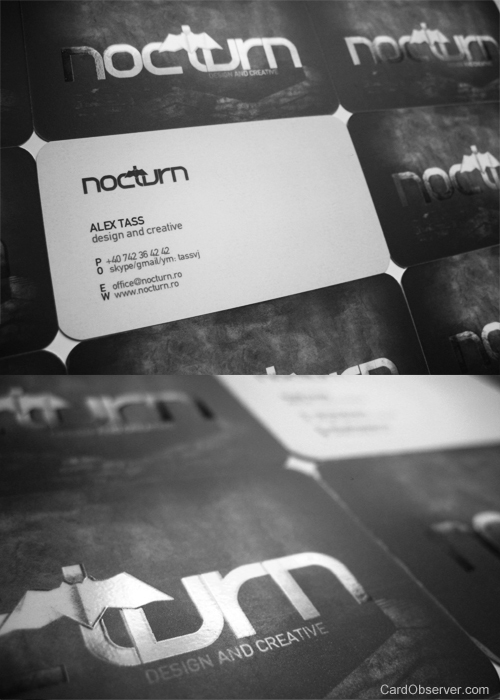 Personal business cards promoting our website and our contact details. Our logo uses a symbolized-origami bat so we considered having a white face with our details and a black background with the bat on it. The bat on the back was treated with a special varnish to make it shine in the light.